Your water faucets likely get the most use out of all of your plumbing in your home. Just think about all the times you turn on the kitchen faucet. The on and off motion will eventually wear out the faucet. Knoxville faucet repair and install can help you to avoid that dreaded leaky faucet. A leaky faucet is a waste of water. It is also greatly annoying. No one wants to listen to water dripping in the skin all day and night long. With each drip you are paying for water that you are not using and having to deal with the drip. You do not have to wait to get your faucet repair or install done. You can get your faucet repair and install done today. We can send someone out to take a look at your faucet to see if repair or replacement is necessary. In some cases we can easily repair your faucet to a good as new state or we can replace your faucet if it is time for a replacement. Today’s faucets are lot more energy conserving than the faucets from even ten years ago. 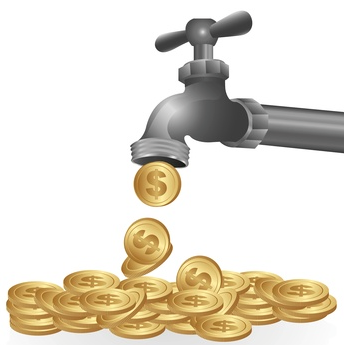 You may want to opt for a new faucet to save money over time. Sometimes all you need to really revamp a room is some new hardware like draw pulls and handles and a new faucet. A new faucet can really add some polish to your room and dress things up a bit. We can easily install your new faucet quickly and correctly. Some folks like the DIY approach until they are in a heap of plumbers tape and are fighting with the wrenches to find the right size. It is a very inexpensive job to call in a professional and worth the reduction in aggravation and stress. We offer a flat rate scale for Knoxville faucet repair and install so the cost is relatively low for a great professional job! We can come out and repair your faucet anytime that you have had enough of the leaky faucet we can also come out when ever you need to install a new faucet! We are here to serve our community of the greater Knoxville area and bring affordable plumbing services to your front door! Call us today for quick service!